SIERRA VISTA, AZ (Tucson News Now) - A new year means a new resource for the Cochise County Sheriff's Office. A helicopter named "Geronimo" is the newest addition to the department's fleet, and it took its first flight on Friday, Jan. 1. Thanks to private donations Cochise County now has eyes in the sky. It is something Sheriff Mark Dannels said they needed. "When you are used to such a great resource to have in such a large county, it was invaluable. And to lose it for a year, we had many many missions we would have had (used) that helicopter," he said. 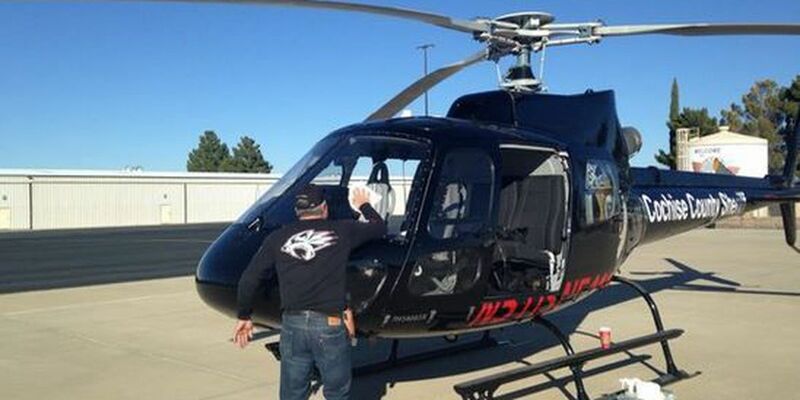 New Year's Eve, a year ago, the previous chopper crashed after receiving maintenance in Phoenix. The two people on board were killed. Sheriff Dannels said moving forward he will continue to make safety his first priority. "We just want to make sure we put the safest aircraft and equipment back in the air, because if we are not safe it is hard to provide that service to the public we serve," he said. The helicopter, a Eurocopter AS 350 B2, will typically have a pilot and a crew member on board. But deputies said the chopper is versatile, so it might transport a K-9 unit, perform rescue missions or even just be a presence in the air to deter crimes. "We will just do normal patrols like a deputy would do in a regular patrol unit although it is up in the air and (the deputy can) see a lot better and cover a lot more terrain," said Mark Genz, operations commander for the Cochise County Sheriff's Office. The sheriff's department can perform all those tasks without costing taxpayers a dime thanks to "a 100 percent inclusive grant that covered everything from pilots to fuel to insurance," Dannels said. "And we are very excited to do that. It is rare to do that. The previous program was the same way, so it is nice to have the opportunity to put something like this up in the air," Dannels said. The helicopter will be based at the Sierra Vista Municipal Airport.